Successful people do not only possess skills and work hard, they have routines which they have consistently observed over time, thus, turning them into habits. They possess certain habits, which single them out. We are what we repeatedly do. Excellence, then, is not an act, but an habit. 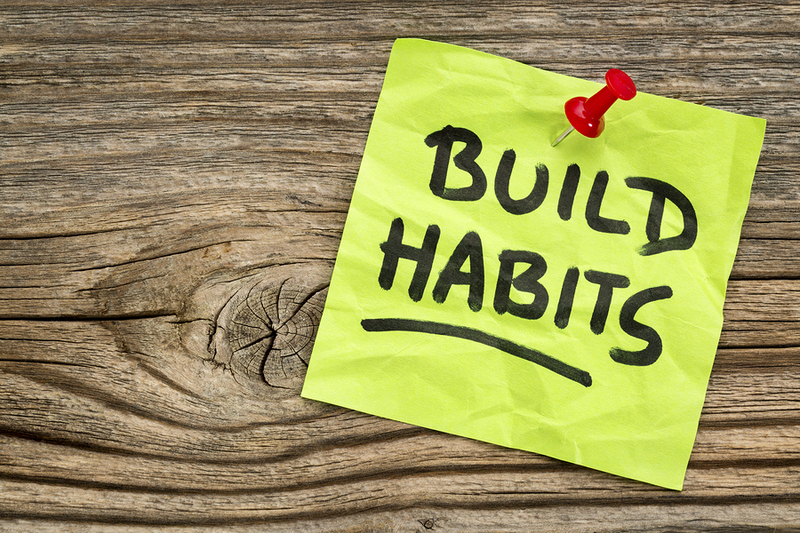 The English dictionary defines habit as ‘An action done on regular basis. An action performed repeatedly and automatically usually without awareness’. By this, one can say, Ejiro wakes every 4:00am by the force of habit. Thus, habit can be referred to as a force. An action repeated within the space of at most 21 days, consecutively, becomes a force we may no longer have control over. With time, these routines somewhat become involuntarily actions. An habit can either be positive or negative. Studying great men, certain habits were synonymous with them; their skin color, location and field of success notwithstanding. Join me, as we take a peep at some of these habits. This gives our brain and subconscious the opportunity to visualize our activities during the nighttime. We find ourselves adding and subtracting certain actions from each items that will make it a little more effective. Each task, of course is important, but in a list with about 8 activities, at least 2 or 3 are more important than the rest from the list. Those 3 activities should thus be the top 3 on the agenda (come first) And must be completed first. There’s something extraordinary about the early meeting with our maker. It is still and quiet. It is the time when you hear him clearest. Psalm 53:1 “Oh Lord my God. Early will I seek thee” The Bible recorded that in the wilderness, while others slept, King David would wake early to study the laws and words of God and seek his face earnestly. Mark Cuban and Brian Tracy, successful best seller authors and inspirational speakers mentioned the importance of waking 2 hours before beginning the day’s activities. Those hours can be spent in meditation, having fellowship with our maker and, or reading a book. The power of goals cannot be overemphasized. People who have S.M.A.R.T-ly written down goals are almost halfway gone in solving them. Goals that are Specific, Measurable, Attainable, Realistic and Timely. You become what you think about — most of the time. What then is it that successful people think about, most time? They think about the future and where they are going, and what they can do to get there. Non-successful people, on the other hand, think about the present, the pleasures and problems of the moment. They think and worry about the past, and what has happened that cannot be changed. One of the greatest enemies of success and happiness is negative emotion. If we commit ourselves to constant reading, thus increasing knowledge, ONLY God can limit how far we will go in life – Benjamin Carson. Successful people are either on a book, just completed one, or about to begin the next. They are constantly seeking to broaden their knowledge, thus know more. Money spent (even wasted) can be gotten back in a matter of time strategically. But time wasted can never be. If it’s not beneficial to your health, business, career, academics and most importantly happiness, why spend time on it? Successfully people are clear communicators. They constantly work on their communication skills. Knowing what to say is not all there is. The question is; How do I effectively translate what I know? A teacher might be the most knowledgeable, but it has no usefulness in the life of his students if he cannot communicate effectively his knowledge to his students. I do not think we can be seen as all-round successful, if our health and vitality is challenged. Everyone wants to be rich, dept-free and thin. – Brian Tracy. But not everyone is willing to work out. Successful people take their health as priority. Being a successful person does not translate to being a bore and a workaholic all year round. Take some weekends to spend time with family. Go to the movies with friends. Go out visiting and having a good long laugh with them. It really doesn’t bite. It in fact, refreshes us for the following week. You don’t have to allow anyone make you feel bad for having a little fun even amidst challenges. It’s sometimes exhilarating! We necessarily do not have to rush into observating the 10 all at once, as we walk gradually towards perfection. I hope you got something from this post. you can leave a comment below and don’t forget to subscribe to this blog to not miss a post.